I LOVE this, so delicate but so so pretty! I adore these nails. 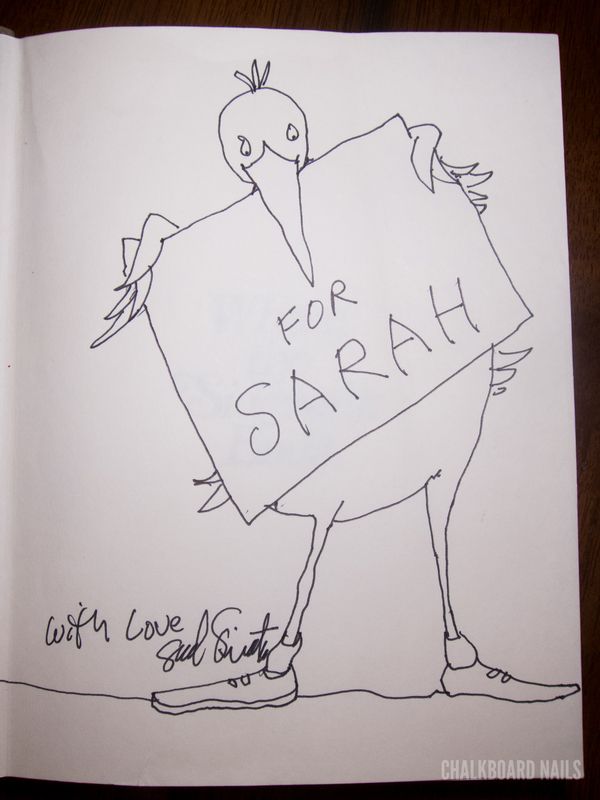 I've always loved Shel Silverstein and it's SO COOL that you have signed books from him, especially with art. This is so simple and cute- and what a great personal connection to have to a book! PERFECT! I just love it to pieces! Thats lovely! :) So cute. I love this mani! I've never heard of the book before, but now I feel like I have to get it and read it to my nephew! What a sweet story, and your signed books are great! wow! those personalized autographs are something special! i loved his books as a kid and love to give them as gifts. impressive nail art, as always. Holy crap! That is awesome that Shel hand write those to you! Cherish them always! He was a very unique person (I did some papers in college about him for bio-type projects) and is one of the greatest people I have ever learned about. Also, good for you on that mani! Super sweet! I love this one! 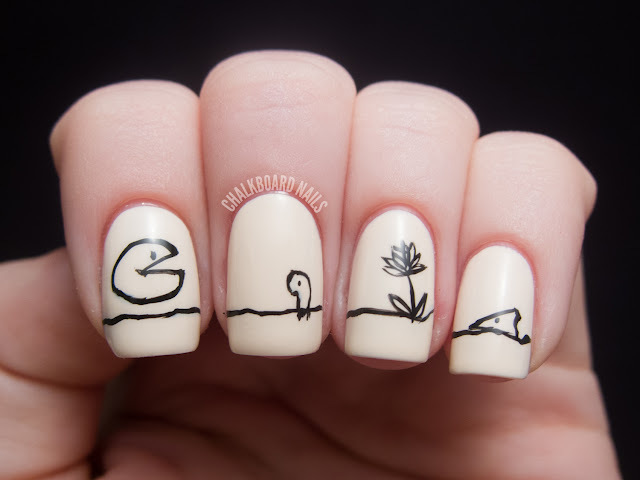 Your nail art totally captures the feeling of his books--too cute! I love The Missing Piece and I think your manicure captured it well and is a great tribute. 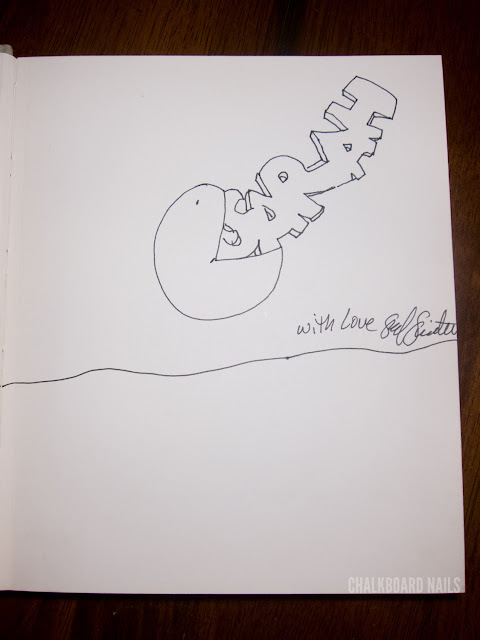 Your autographed books are true treasures. So fun! I cherished his books growing up. On my very first day of college (over 500 miles from home! ), in my very first class (English Lit), we were cold-tasked with writing a paper about our fave author in 15 minutes. I was 17 and nervous as hell and was sure that everyone else was writing about some literary giant like Alcott or Tolstoy. I wrote on what I knew for sure...Shel Silverstein. When I turned my paper in, the professor smiled and whispered "He's my favorite too!" What a great memory. You are lucky to have his illustrations. So awesome! How special to have those signed books. What a treasure. 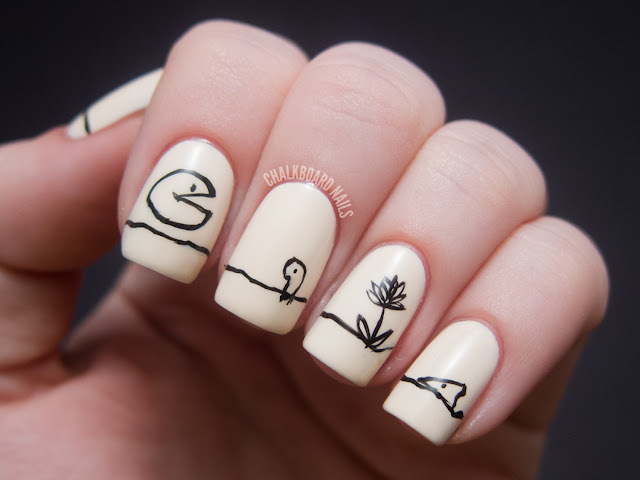 Not only an impressive manicure, a beautiful story to go with it. I love Shel's books too. I can already tell this will be on my weekly faves! Great job! I love Shel Silverstein books, read them all the time :) I plan on getting them for my daughter! Needless to say love this mani! Awesome!!! I absolutely adore Shel Silverstein books.... I remember reading them as a child and I still read them today! :) Great nails! I love this! 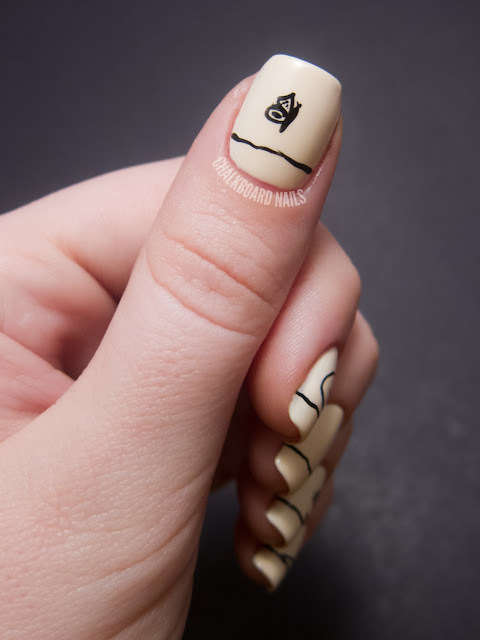 So simple but so creative. I think it's really reflective of Shel Silverstein's style, and I think you have a precious keepsake in his drawings made just for you. Anyway, other than to compliment your awesome nail art looks (yours are seriously some of the best I've seen on the interwebs), I'm writing to see whether you have the Zoya Lovely collection yet. I ask because Lime Crime Milky Ways is a huge lemming for me, and I'm dying to see a comparison. I know they're not dupes, but I'm trying to decide whether Jacqueline would satisfy my need for Milky Ways. Thank you in advance! Alex - I will post a comparison on Instagram/Twitter if you follow me there! OMG, I LOVE LOVE LOVE this!!!! I love black & white manicures, & The Missing Piece was one of my favorites as a kid! Great idea! Oh wow, love the simplicity in the tattoo! Very cool. Thank you so much! I wanted to try my best to do Shel's work some justice.